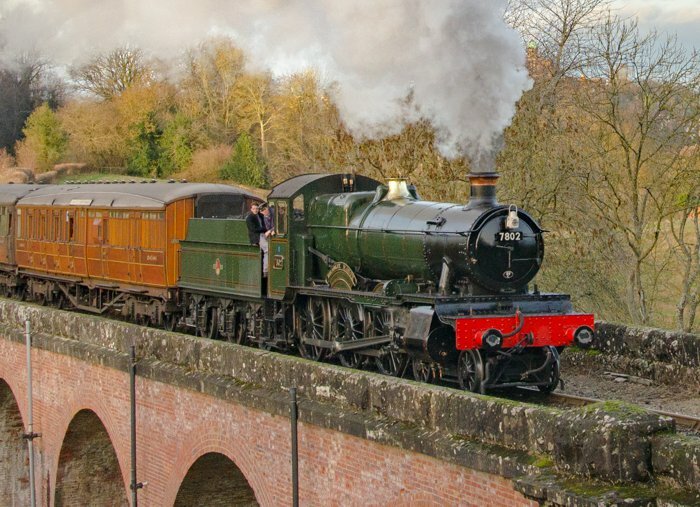 Our annual Winter Steam Gala takes place over three days on 25th, 26th, and 27th January 2019. Three days of intensive action on our double track featuring passenger and goods/freight services with up to 10 steam locos in action. 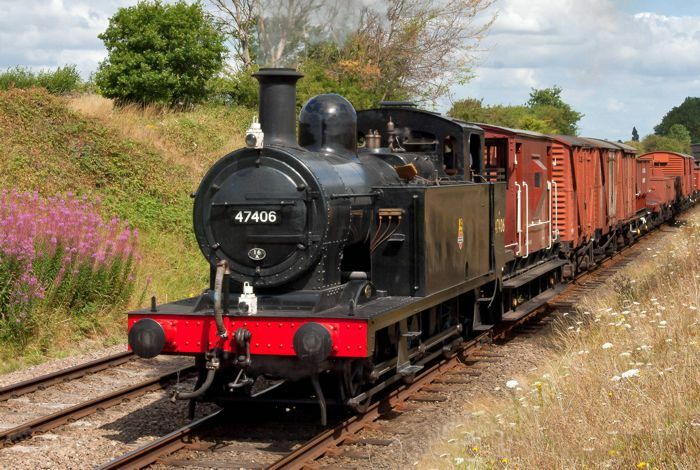 We're recreating the experience of a busy main line railway in the age of steam! 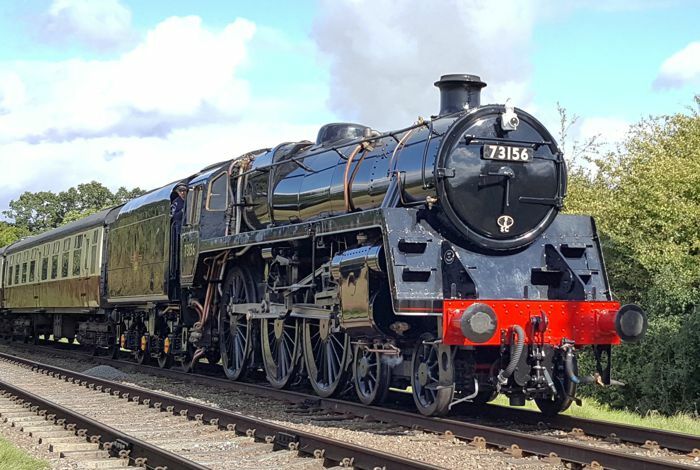 We're delighted to welcome special guest locomotive 7802 "Bradley Manor" which appears courtesy of Erlestoke Manor Fund & Severn Valley Railway. Intensive timetable with very frequent passenger service. 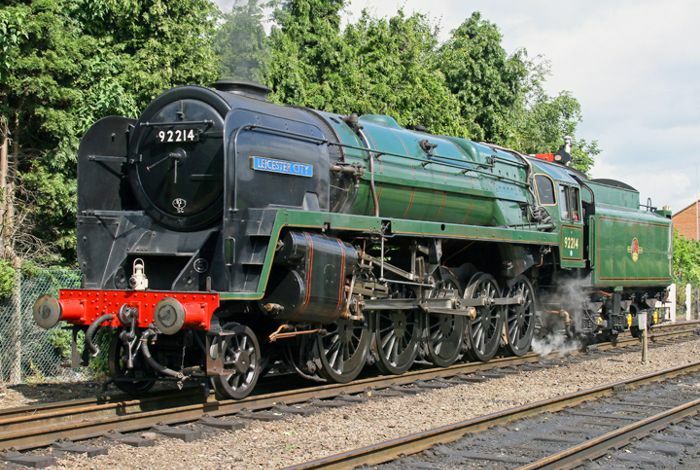 Double heading with 7802 "Bradley Manor" and 6990 "Witherslack Hall" (Sat + Sun). "The Express" - popular non-stop service (Sat + Sun). TPO (Travelling Post Office) demonstrations - mail exchanged at speed (Sat + Sun). High number of train movements (up to 90 movements at Loughborough alone on Saturday and Sunday). 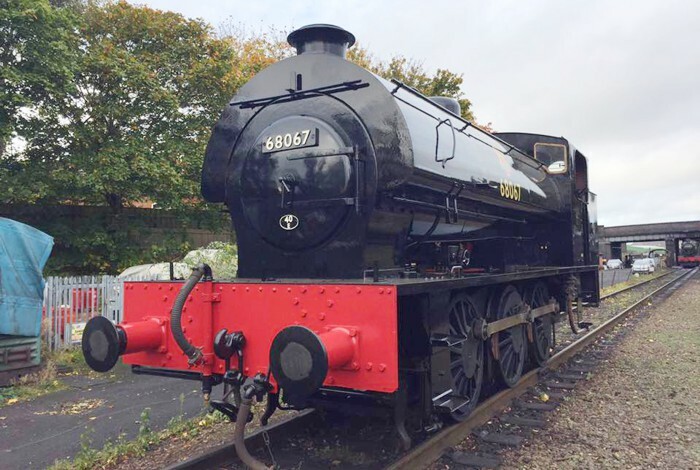 6990 "Witherslack Hall" 9F 92214 "Leicester City"
Overhaul update on Stanier 8F 48305. 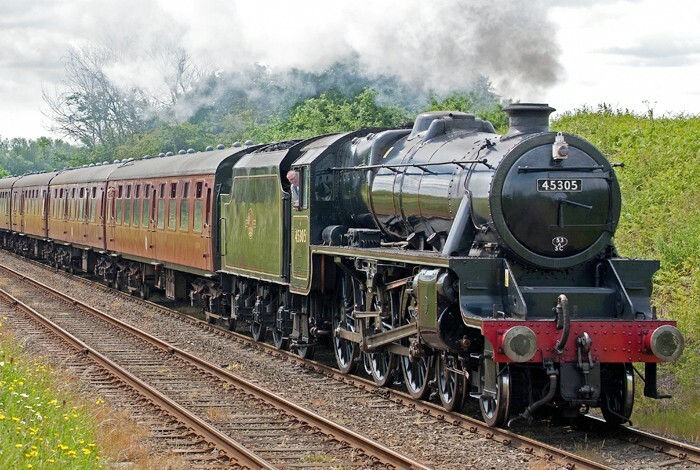 We regret that due to circumstances beyond our control, 8F 48305 will not be available to appear at the event. While every effort has been made to complete the heavy overhaul in time for this event, sadly delays with a key component have prevented the work from being completed. We apologise for any disappointment that this may cause. The full Working Timetable will be available in the Event Programme which is free of charge for event tickets holders from any of our Booking Offices while stocks last (£3 otherwise). No booking fees! We do not charge booking fees for our tickets. The prices below are the prices you pay on the day, or online. The prices in the table below are for "runabout" tickets which provide unlimited travel on our passenger trains on the day of your visit. Tickets may be booked online here, or purchased on arrival at the event at any of our Booking Offices. Members of Friends of the GCML are entitled to Privilege fares upon production of membership card. (These are available from Booking Offices; unfortunately we are unable currently to sell these online). Heritage Railway Association passes will not be valid for this event. GCR shareholders' discount vouchers will be valid for this event. 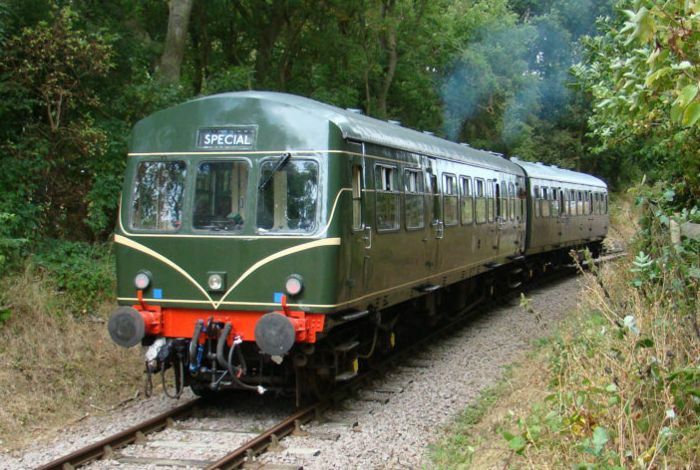 Working members of other heritage railways with whom GCR has reciprocal arrangements for reduced fares will be eligible for Privilege fares upon production of valid membership cards and work permits. Same arrangements apply as in point 1. above for holders of ex British Rail and Train Operating Company passes. 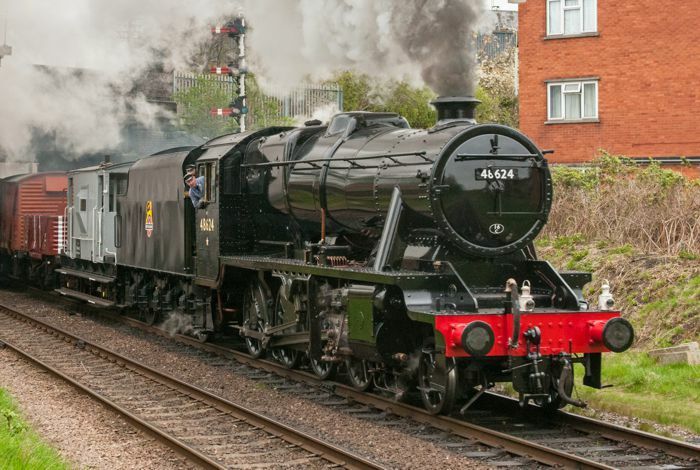 Platform tickets at Loughborough and Quorn (including Quorn car park and yard) are priced at £7 on Saturday Sunday and £5 on Friday – these can be offset against runabout tickets purchased for the Gala. NOTE: A complimentary copy of the Gala programme is included in the above travel ticket prices (whilst stocks last) and includes full working timetable. Normal programme price is £3. * Refreshment Room serving hot and cold food and drink. * Barbecue stand on station platform. * Real ale bar (a range of cask beers from Nottingham Brewery on offer) available from the Waiting Room. * Locomotive shed or shed apron open for a browse, subject to operational requirements. * Butler-Henderson Café - fully licensed and serving delicious home made sandwiches and cakes. Great photo opportunities from the garden viewing area. Open: 9.30am to 5pm on Fri. 9am to 6pm on Sat and 9am to 5pm on Sun. * NAAFI-style tea room - 1940s style tea room, under the railway arches. * Ellis's Tea Room - fully licensed and serving delicious home made sandwiches and cakes. * A great place to watch the trains go by within the sheltered cuttings (platform ticket required if not travelling). * Station Tea Room serving delicious homemade cakes. * Station tea room for hot and cold drinks. 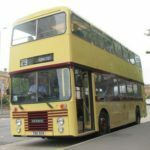 Shuttle bus service to/from Loughborough main line station. 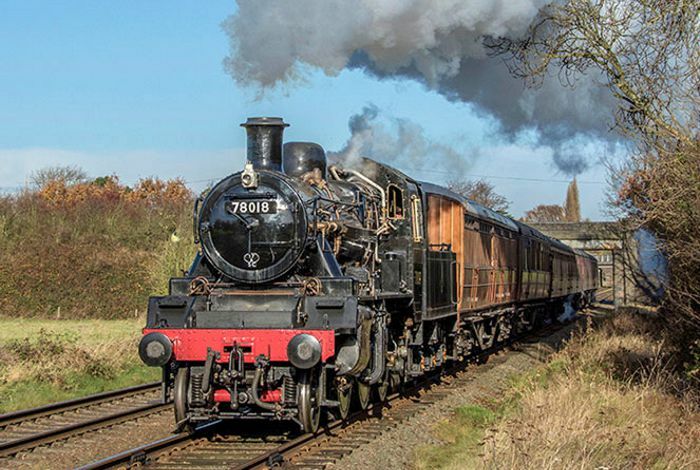 Leicester Transport Heritage Trust will again be running a shuttle bus between East Midlands Trains' Loughborough Midland station and our own Loughborough Central station on the Saturday and Sunday of the gala only (not on the Friday). Bus timings and information are available for download [ here ]. Loughborough: LE11 1RW. On street parking is available but the surrounding roads will be busy. Many double yellow lines have been added to roads in the area, so parking is increasingly scarce; you may need to park some distance from the station and neighbouring residents don't necessarily welcome you doing this! Quorn: LE12 8AG.This is GCR's main car parking area. Friday: the station yard car park will be available free of charge. Saturday & Sunday: a charge of £3 per car per day will apply (no exceptions) for parking in the neighbouring field. 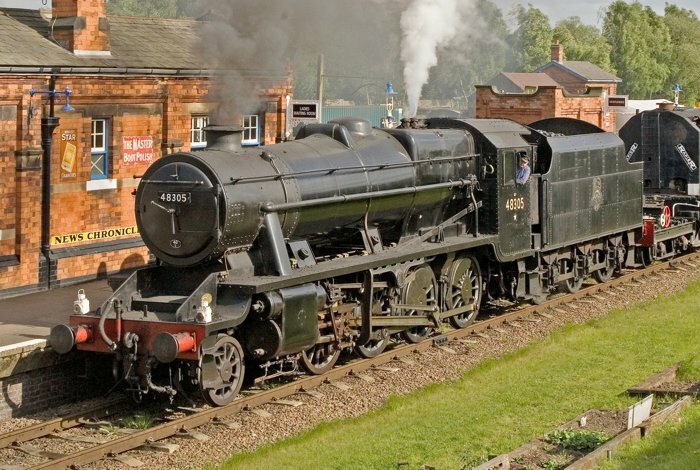 If approaching the station from the A6 or Quorn village, the field is immediately on the left hand side after crossing the bridge over the GCR line; the walk back to the station is some 200 yards. For these two days, the only parking in Quorn station yard will be for holders of registered disabled passes (free - see below). On-street parking in the immediate vicinity of Quorn station is subject to Council operated parking restrictions. Rothley: LE7 7LD. There is very limited car parking in the station yard. Also, on-street parking in the immediate vicinity of Rothley station is very limited with Council operated parking restrictions. Leicester North: LE4 3BR. There is limited car parking on the immediate approach to the station. DISABLED PARKING: The station yard at Quorn will be available for blue badge holders and our less able-bodied visitors who do not have a blue badge. To reserve your space, please email marketing@gcrailway.co.uk with your name and vehicle registration details. 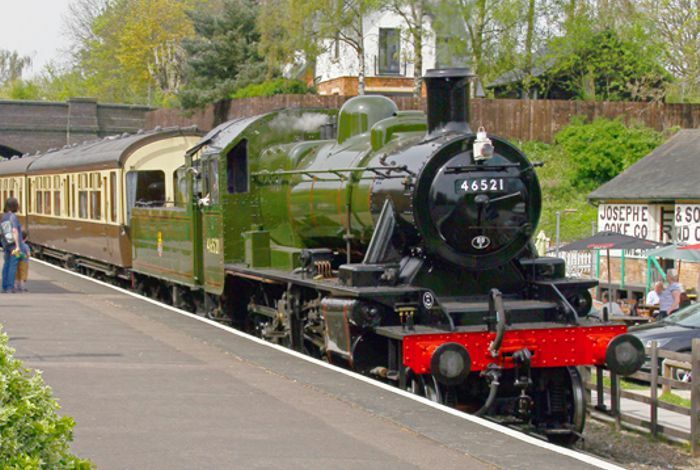 All locomotives and attractions appear subject to availability, GCR reserve the right to cancel or amend any service. Passengers are conveyed by the Company's trains in accordance with the Company's "Conditions of Carriage" (as shown on this website). 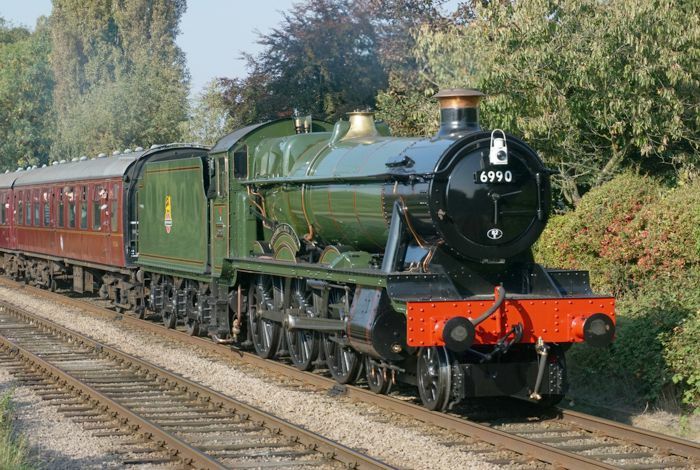 Headline image of 7802 "Bradley Manor" kindly provided by Joe Connell.